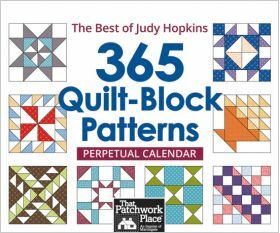 Bask in beautiful quilt blocks year after year with a perpetual calendar honoring the memory of popular author Judy Hopkins. 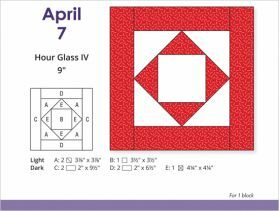 Blocks vary in size from 6" to 14". A portion of the proceeds from the sale of this calendar will benefit Judy's favorite charity, the Juneau Arts and Humanities Fund. 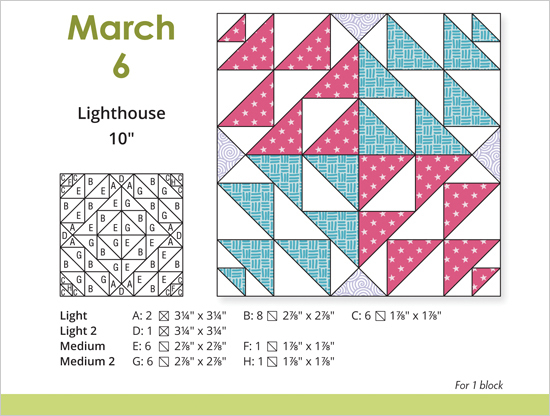 This calendar is a perfect addition to my quilting library. I like the variety of sizes from 6" to 14" and the easy to cut rotary directions! No templates needed! The color charts and block index make it easy to plan out a project. Definitely a keeper! An update to previous review: Spoke with customer service and the lady I spoke to was fantastic. Without hesitation she immediately sent a new calendar! I still like the calendar, but I must say that the coiled binding on the second one is still a bit off as well. The coils were slightly bent out of shape again, but this time I was able to wrangle it back to shape a bit better. Perhaps the wire being used for the coil binding is a bit too soft....? At any rate, fabulous customer service! Very enjoyable collection of blocks. Have made several already. 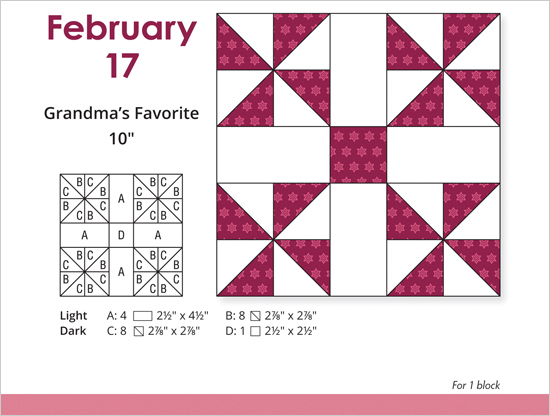 It's fun to use the block shown on a friend's birthday when making a gift quilt for that person. Dimensions seem accurate but would prefer increments of 1/2 inch rather than 1/8. 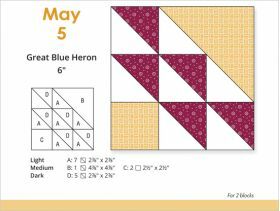 Would recommend this and will probably give some to quilting friends. I would enjoy this calendar much more if it would actually sit and turn pages properly. The wire binding is really strange, so the stand/cover keeps falling down. When you try to turn the pages they poke straight out from the back instead of lying smoothly. I've wrestled with it in every possible configuration and it still won't lie properly. Not very likely to keep it displayed for very long because it looks bad and is annoying to deal with. Very disappointing. 365 Quilt-Block Patterns Perpetual Calendar offers a spiral-bound booklet pairing lovely quilt blocks through the years with a perpetual calendar honoring the memory of quilting author Judy Hopkins. Each day features an inspiring quilt block, patterns for piecing, and a color illustration to accompany cutting instructions and a lettered line drawing. 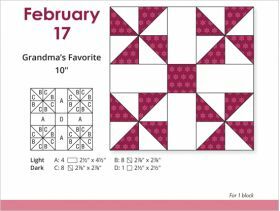 The result is a fine daily block perfect for avid quilters who need a booklet/desk calendar format. 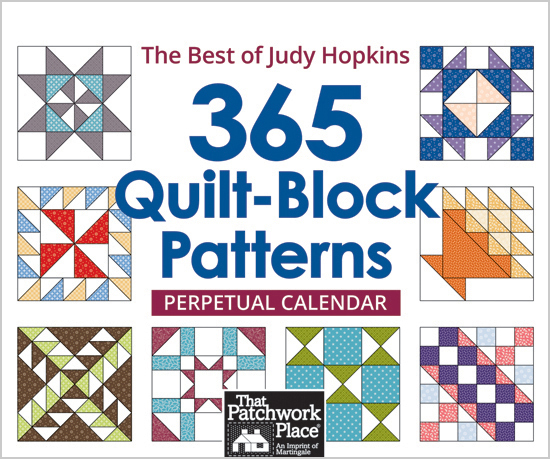 Learn beautiful new quilt blocks year after year with this perpetual calendar honoring the memory of popular author Judy Hopkins. 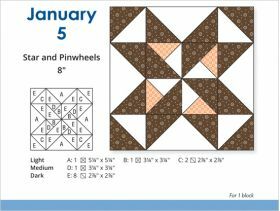 All the information to make the blocks is included, and a portion of the proceeds from the calendar's sales will go to the Juneau Arts and Humanities Fund, Judy's favorite charity.